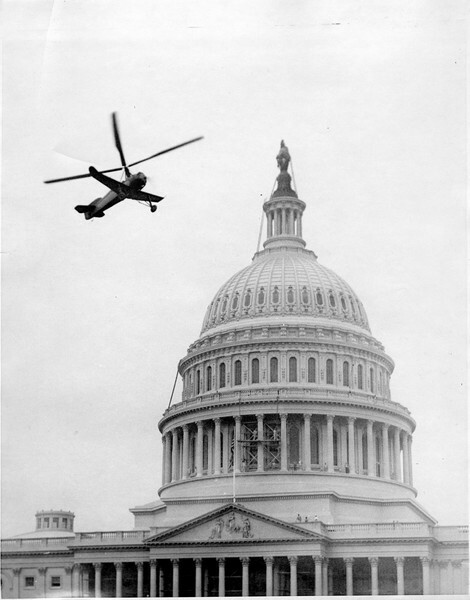 “Senator Rides Autogiro from Capitol to Golf Game,” Histories of the National Mall, accessed April 23, 2019, http://mallhistory.org/items/show/541. 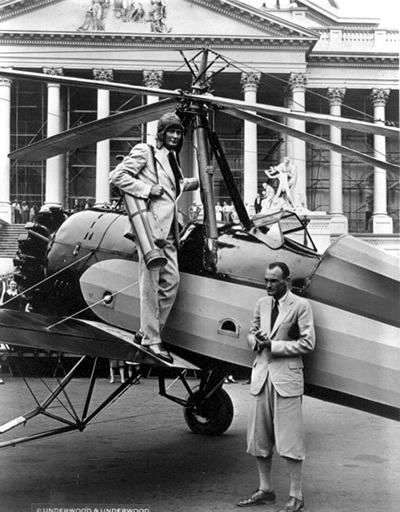 On July 9, 1931, Senator Hiram Bingham boarded an autogiro at Capitol Plaza for a quick ride to the golf course. Bingham, a former pilot in World War I and supporter of the unique aircraft, used the opportunity to promote the safety and efficiency of the autogiro to a crowd of spectators and news media at the Capitol. 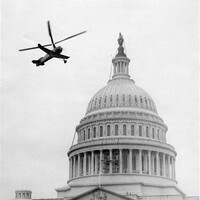 The pilot, James Ray, transported Bingham from the Mall to Burning Tree Golf Club in 11 minutes, arriving 34 minutes faster than if he had driven. 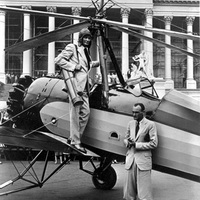 The Autogiro Company of America, founded by Harold F. Pitcairn, marketed the autogiro as a vehicle for the wealthy and frequently staged public events to promote sales of the aircraft.